Relationship Matters provides relationship tips, advice, information and the latest research to help you create a great relationship! This what your Relationship Matters Blog Ad will look like to visitors! Of course you will want to use keywords and ad targeting to get the most out of your ad campaign! So purchase an ad space today before there all gone! Intimacy: What is it and how do you do it? I often hear the word “intimacy” in my therapy room when talking to couples about their relationship. But what does it mean and how do we achieve it and maintain it in our significant relationships? So if intimacy describes “Into-Me-See,” how do we allow that to happen? When is it okay and when is it not? Do you struggle with vulnerability? Often I hear my clients say they “don’t do vulnerable.” When I ask why, they say they see it as a weakness, or they apologise for having a tear – saying they ‘don’t normally do this’. Have you ever had the experience of a partner or friend speaking of how they have been struggling with an issue, which was really quite upsetting for them? Have you felt the first stirrings of the warmth of connection as they speak more about what may have happened, a kind of ‘moving towards’ them with empathy? This is the experience of intimacy. Or perhaps you have you felt the door close on that blossoming feeling as your partner or friend tells you they have dealt with it, possibly quite masterfully, and now the crisis is well and truly over? Why do you experience a sudden cool current flushing out the warmth? Because they are safely on the other side of whatever it was that was troubling them and have regained composure. And you were kept out at the time. They did it without reaching out to you, which denied you the chance to be a listening ear, to provide empathy – in short – to be intimate. They didn’t let you see. Your partner might have been well intentioned – not wanting to trouble or upset you. But how’s that working out for you? Wouldn’t you rather have had the opportunity to support and nurture them through a tricky time? Wouldn’t you relish the opportunity to create another rich layer in your relationship history? You bet you would. But they have put the block on that, only ‘showing up’ when they are in control again. It is even worse for you if you know you’ve been vulnerable in front of them, leaving you with the thought: ‘How come they keep it together and I end up being the messy one?” Doesn’t feel good, does it? So what happens next? There is another little tear in the relationship, which starts to weaken the fabric of your bond. The relational playing field needs leveling otherwise you are consistently going to feel exposed while your partner consistently ‘has it all together.’ Not so good for an equal partnership. If you can do this, it will make all the difference to the level of connection you feel with your partner and build new neural circuitry in your brain and your partner’s brain, which grows the capacity to be intimate. Your relationship will become a safer and more loving place for each of you. 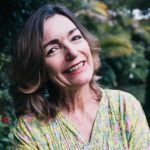 Amanda Woolveridge, M.App.Sci, Member AABCAP, is a psychotherapist and couples counsellor with 24 years of experience who currently works from her home consulting room on the Northern Beaches of Sydney. Her relational work is largely informed by PACT (Psychobiological Approach to Couples Therapy) and her studies in Gestalt, Narrative, and Mindfulness. Find out more about Amanda on her website. The post Intimacy: What is it and how do you do it? appeared first on Clinton Power + Associates. The Gottman Relationship Checkup for Couples: How Healthy is Your Relationship? Many people interested in couples therapy hesitate because they’re not sure what to expect. That can be scary, but I’m here to allay your fears. 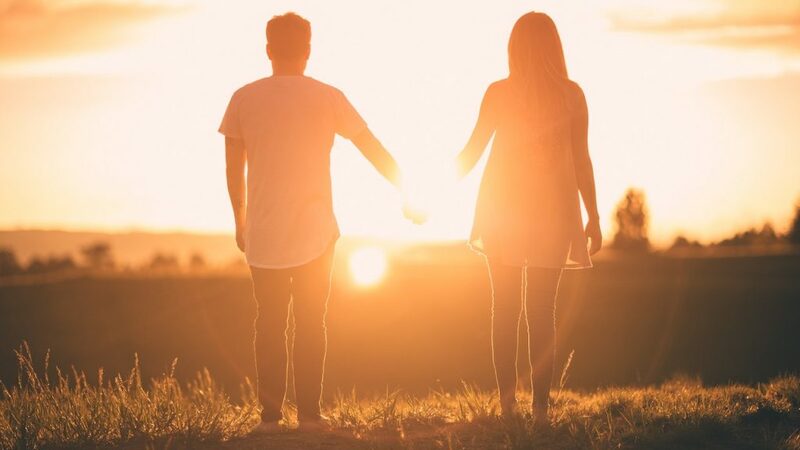 If your relationship needs professional help, you can count on the Gottman Relationship Checkup to kickstart your work together as a couple and help you get the most out of relationship therapy. What is the Gottman Relationship Checkup? The Gottman Relationship Checkup is a therapist-aided online assessment that determines your strengths as a couple and the challenges you may face. The process is an efficient one, which can be done at any time and in any setting, and that allows your therapist to dig deep into your life as a couple in a minimal number of sessions. 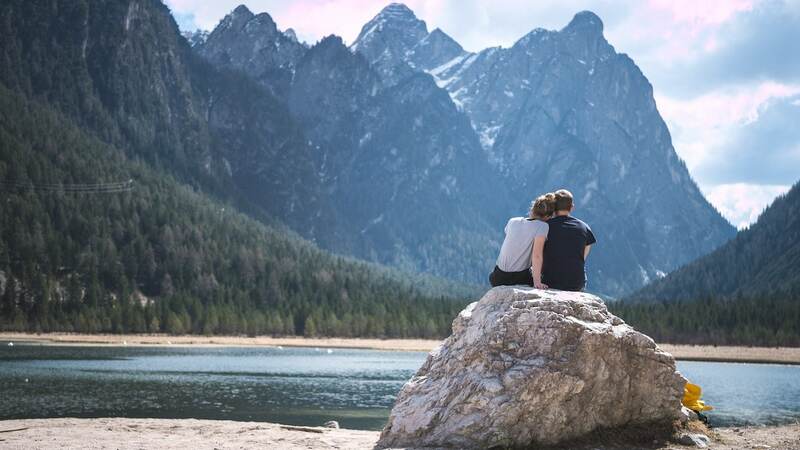 The online assessment is 480 questions that deals with friendship, intimacy, how well you know and understand your partner, how well you manage emotions and conflict, how you share your values and goals, and what gives you and your life meaning. There are also additional questions about parenting, housework, finances, trust, and other subjects. If you’re concerned about confidentiality, don’t worry: this test is fully HIPAA compliant and the only viewer of your results will be your therapist. Even your partner won’t be able to see the results of the test. Drs. John and June Gottman created this research-based assessment along with the Gottman Institute, with the goal of helping therapists create a personalised but rigorously science-based treatment plan for their clients. Dr. John Gottman is a clinical psychologist with over 40 years of research on couple relationships under his belt. He’s been recognized as one of the top 10 most influential therapists of the past 25 years. Dr. Julie Gottman is a clinical psychologist as well, regularly sought by the media and clinical organisations as an expert relationship advisor. They have dedicated their lives to helping other couples and developing the Sound Relationship House Theory, and the Gottman Relationship Checkup is the result of that hard work. What is the Sound Relationship House Theory? Imagine the floors of a house, which all stack up together to create one sturdy building. The Sound Relationship House Theory uses this as a metaphor, detailing the “levels” that it takes to build a sturdy relationship. We can take a quick look at these levels, which will be a map for you as you improve your relationship going forward. 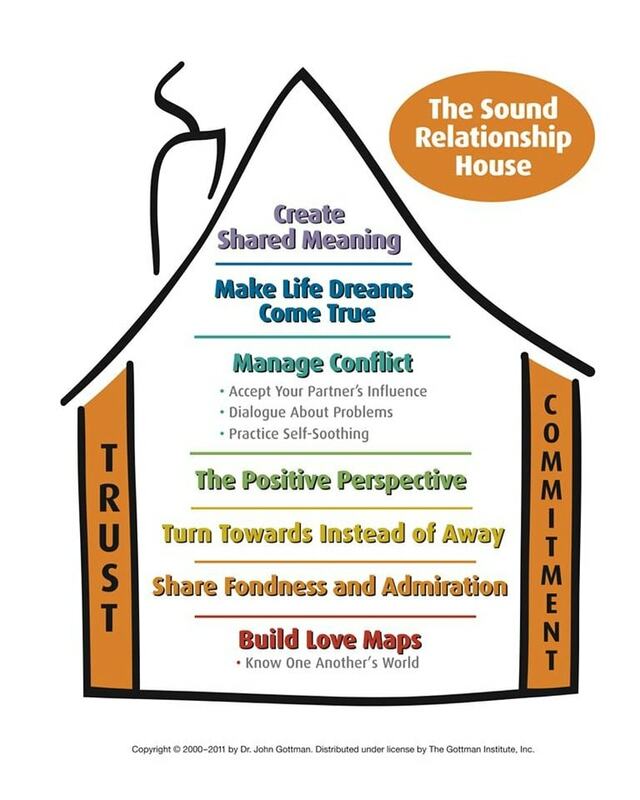 The Sound Relationship House – The Gottman Institute. The first three levels of the House deal with friendship. It may seem unimportant, but a strong friendship is actually the core of romantic relationships. The very first level is called Love Maps, meaning how well you know the other person’s inner landscape. That can include their worries, stresses, goals, and dreams. The second level is Fondness and Admiration— the opposite of contempt. This level requires both affection and respect for each other. The third level is Turn Towards. This has to do with whether a person responds when they are given a “bid,” or a gesture for positive connection, including conversation, humor, affection, or support. These tiny moments in relationships can be opportunities to Turn Towards the other person and to build up the Emotional Bank Account. The fourth level is The Positive Perspective, which is shaped by the first three levels and can be positive or negative. This level represents what it feels like within a relationship. To be in good shape, this level requires positivity during problem-solving discussions and success after attempts to fix these problems. The fifth level is Manage Conflict, which its name because some conflict is natural and can be functional and positive. The Gottmans outline two types of conflict: perpetual problems (long-term differences in personality, values, priorities, and behavior) that need to be discussed constructively, and solvable problems. You will learn about the six skills for effective problem-solving, which are Practicing Self-Soothing, Using Softened Startup, Repair and De-escalate, Listening to Your Partner’s Underlying Feelings and Dreams, Accepting Influence, and Compromise. The sixth level is Make Life Dreams Come True, meaning that both partners need to create an atmosphere where each person can speak honestly about their dreams, values, convictions, and aspirations so that they can be honored in the best way possible. How does the Couple Checkup work? First, I will send you a link via email and you need to accept the invitation to the test, each partner gets a separate email invitation. Then, you and your partner will create individual profiles so you can save your results. At your convenience, you and your partner will complete the questionnaire separately. Neither partner will be able to see the other’s answers at any time during the process, and you’re encouraged not to share your responses or log into the other’s account. The online assessment portion of the process should take about 45 – 60 minutes. Once you have completed it, I will be notified and will log in to review your scores and analyse your answers so I can discuss the results with you and formulate a treatment plan. Want to get started with the Gottman Checkup? If you’re ready to get started, call to book an Initial Couple Assessment Session. Each of the three introductory sessions is 90 minutes. The first session is a couple assessment. We will talk about what brings you to me, what your problems are, and what your goals are. Then we will form a short history of your relationship (like how you met and what your major life transitions have been). Before the second session, partners do the online assessment, and then I get the results to review and analyse them. The second session is split in half: each partner gets 45 minutes to themselves with me to talk about issues privately. For the third session, I will meet with you both again and deliver the Gottman Couple Checkup results. Together, we will form treatment goals and a plan to go forward. Remember that there is always hope for you and your relationship, and by making an appointment with me today, we can work on your future together. Book Your Gottman Couple Checkup Today! If you want to book a Gottman Couple Checkup or need help with your relationship, contact Clinton Power + Associates on (02) 8968 9323 to discuss your situation and find out how we can help. The post The Gottman Relationship Checkup for Couples: How Healthy is Your Relationship? appeared first on Clinton Power + Associates. As 2018 rapidly comes to an end, it’s a good time to review the year that was. I’m always curious about what my readers find interesting, so I’ve collated the top 10 most popular blog posts that I wrote this year. This list is compiled based on the number of website visitors who clicked on these posts, in ascending order. So scroll down to the bottom to find THE most popular post I wrote this year. Enjoy these posts. I’m looking forward to bringing you lots of new tips, advice, and information about how to create a healthy relationship in 2019! If you need help with your relationship, contact Clinton Power + Associates on (02) 8968 9323 to discuss your situation and find out how we can help. The post My Top 10 Most Popular Relationship Posts of 2018 appeared first on Clinton Power + Associates. Believe it or not, online dating was once considered a strange and unusual thing. When I started working as a couples therapist back in the early 21st Century, I always asked my couples how they met. My couples would often be embarrassed to tell me they met online. It was like online dating was a dirty little secret that they didn’t want their friends or family to know. Fast-forward to today and it’s hard to meet a single person who hasn’t used online dating to meet new people. And there is certainly no embarrassment today about using apps and dating sites to make new connections. The upside of online dating is it’s a fast and convenient way to connect with lots of new people quickly. The downside is you can experience frustration, despair and rejection, which can lower your self-esteem and self-worth. This might seem like a no-brainer, but there are still people who create online dating profiles that are vague, incorrect, or just downright dishonest. Your dating profiles need to be a genuine reflection of who you are, what you’re looking for and what your values. There’s no point in creating a disingenuous profile to attract someone. Sooner or later, you’ll be found out. Your dating profile is like a filter. You want to attract the people that connect with you, and you want to filter away those that are not a match. The more honestly you reveal yourself in your profile will help you attract people that are better matches for you in the long run. One of the biggest problems I frequently hear about in my therapy practice is when a person connects online with a potential mate and then goes on to have a ‘virtual relationship’ for weeks, months, or even years. The problem with this situation is you’re developing a faux relationship with a fantasy person. When you don’t mean someone in real life and continue to have a virtual relationship, it’s too easy to project all the qualities you’re looking for in a partner onto this person, which can lead to major disappointment when you do finally meet in real life. I recommend you treat online dating as a conduit to get the contact details of potential matches. Then organize to meet in real life sooner rather than later, so you can get the full picture on this potential mate. We’ve all been on the end of hurtful communication at one time or another. Whether it’s direct rejection, or the other end of the spectrum where someone just unexpectedly disappears (known as “ghosting”), it still hurts. Unfortunately, the anonymity of the Internet means that many people treat each other badly because they can do so relatively anonymously. It’s important to remember that at the other end of your dating app or computer is a real human being. Don’t seek to hurt deliberately or cause pain in another person. Be honest and respectful in all your communications and there is a good chance people will be honest and respectful to you. Plus, it’s just good karma. Just because online dating allows you to meet someone instantly doesn’t mean you need to rush into an instant relationship. Many people make the mistake of moving too quickly into a deep relationship. When you rush into a new relationship, it’s too easy to miss warning signs and red flags that may indicate this person is not right for you. It takes time to get to know someone and build the type of trust and intimacy that will help you form a long-lasting relationship. This tip might seem obvious, but it’s important to take care of your safety at all times. Sadly, there are people out there that create fake dating profiles so they can have fun at your expense, play mind games, and sometimes these people have more sinister intentions. Don’t automatically believe anything you read or see on a dating site. Don’t reveal anything that’s too personal until you’ve met your date in real life and you can begin to formulate an accurate assessment of the person. Whenever you meet a date for the first time, always meets in a public venue and let a friend know about your date, who you’re seeing and where you’ll be. But taking a few precautions you can feel safe and still have lots of fun with online dating. The post 5 Survival Tips for Online Dating appeared first on Clinton Power + Associates. Honeymoon long over? Hang in there. A new University of California, Berkeley, study shows those prickly disagreements that can mark the early and middle years of marriage mellow with age as conflicts give way to humour and acceptance. Researchers analysed videotaped conversations between 87 middle-aged and older husbands and wives who had been married for 15 to 35 years, and tracked their emotional interactions over the course of 13 years. They found that as couples aged, they showed more humour and tenderness towards another. Overall, the findings, just published in the journal Emotion, showed an increase in such positive behaviours as humour and affection and a decrease in negative behaviours such as defensiveness and criticism. The results challenge long-held theories that emotions flatten or deteriorate in old age and point instead to an emotionally positive trajectory for long-term married couples. Consistent with previous findings from Levenson’s Berkeley Psychophysiology Laboratory, the longitudinal study found that wives were more emotionally expressive than their husbands, and as they grew older they tended toward more domineering behaviour and less affection. But generally, across all the study’s age and gender cohorts, negative behaviors decreased with age. “Given the links between positive emotion and health, these findings underscore the importance of intimate relationships as people age, and the potential health benefits associated with marriage,” said co-lead author Alice Verstaen, who conducted the study as a Ph.D. student at UC Berkeley and is currently a postdoctoral fellow at the VA Puget Sound Health Care System. The results are the latest to emerge from a 25-year UC Berkeley study headed by Levenson of more than 150 long-term marriages. The participants, now mostly in their 70s, 80s and 90s, are heterosexual couples from the San Francisco Bay Area whose relationships Levenson and fellow researchers began tracking in 1989. In their investigation of marital relationships, researchers viewed 15-minute interactions between spouses in a laboratory setting as they discussed shared experiences and areas of conflict. They tracked the emotional changes every few years. The spouses’ listening and speaking behaviours were coded and rated according to their facial expressions, body language, verbal content and tone of voice. Emotions were coded into the categories of anger, contempt, disgust, domineering behaviour, defensiveness, fear, tension, sadness, whining, interest, affection, humour, enthusiasm and validation. 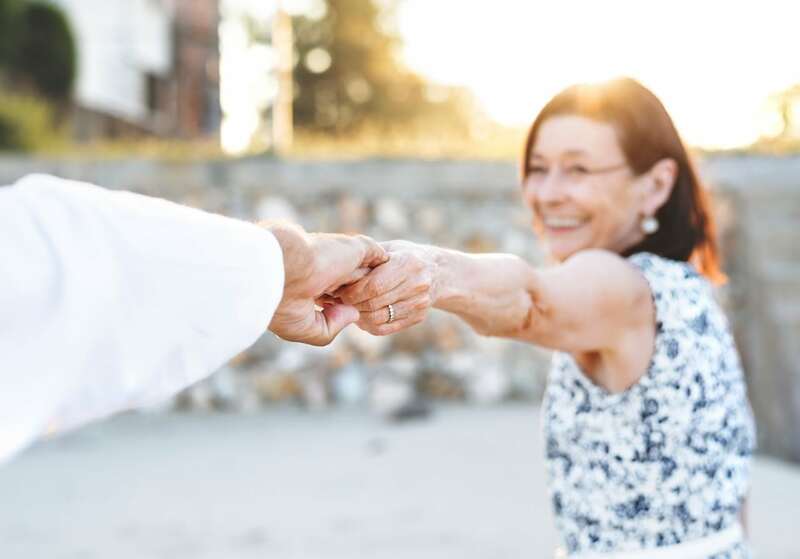 Researchers found that both middle-aged and older couples, regardless of their satisfaction with their relationship, experienced increases in overall positive emotional behaviours with age, while experiencing a decrease in overall negative emotional behaviours. “These results provide behavioural evidence that is consistent with research suggesting that, as we age, we become more focused on the positives in our lives,” Verstaen said. The post STUDY: Ageing Married Couples Replace Bickering with Humour appeared first on Clinton Power + Associates. If you find yourself single this holiday season, reluctant to do anything except stay home and indulge various vices, take heart: it’s a time of year like any other. It’s just been so co-opted by capitalism that we’re bombarded with holiday images and expectations from early November through the New Year. With media messages that the holidays are for couples and families, it’s easy to feel lonely and left out if you’re single. But instead of falling down that dark tunnel, try something unexpected—look for love during the holidays, on your own terms. These tips will get you started. The holiday season is a good time for addressing any negative beliefs you hold about yourself and relationships. You have up to 68,000 thoughts a day, and most of these are repetitious. If you’re constantly thinking, “I’m terrible and I don’t deserve love,” this will become your reality. When you catch yourself thinking negative thoughts, notice them, and then move out of your head. Placing one hand on your heart and the other on your abdomen and breathing deeply while sending love and kindness towards yourself will stop repetitive thinking. Do this enough and the negative thoughts will stop coming, or, if they do, they’ll carry little weight and won’t drag you down. Reconnecting with old friends around the holidays is one of the best parts of the season, and it’s healthy—these people have been part of your life for a reason. If you’ve lost touch with someone you care about, reach out to them at this time of year. And while you’re at it, ask your old friends to introduce you to their new crew. You might meet a new love through an old friend. Unlike an online dating service, your old friends can actually tell if it’s a promising fit. 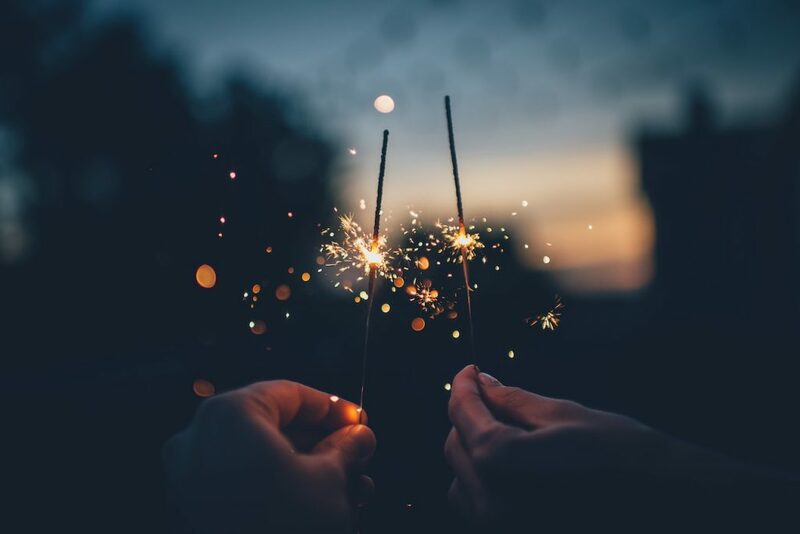 Along the same lines as the previous thought, accepting invitations—especially when you’re not in the mood for a party—will change the energy in your life. To find love when it seems like everyone else is shopping or watching television, you have to stretch your comfort zone. Making the effort to get dressed up and go to a holiday dinner will lift your spirits, once you’re there. Looking your best, for no other reason except you want to, is a kind of gift for your body, which works hard for you every day. This point seems driven into us everywhere we go, but it’s still true: you can’t go forward with strength and clarity if you don’t start from a place of calm. If you’re still feeling old wounds from previous relationships, or even previous holiday seasons that went horribly wrong, it’s hard to start a new relationship with a clear mind and an open heart. Maybe what you need this holiday is just to care for your heart, through small acts of self-love. If you’re still angry with an ex, try to think about them more often, but in a neutral way (instead of once a day, venomously). Say to yourself, “Well, he/she did me wrong, but they’re not a bad person.” The more you can neutralise your thinking around your ex (or a co-worker you dislike, for that matter), the less your feelings about them can catch you off guard. The holiday season is built around rituals. Before there was Christmas in the West, there was Saturnalia, a two week long party with bonfires and animal masks. Nowadays our rituals, especially around the holidays, are somewhat confusing. But the good news is you can make up your own. Keeping a photo at your bedside of a place or person you love is a fine way to be gently reminded of what’s important. The practice of Feng Shui recommends matched images in the bedroom for single people looking to find love. Little rituals repeated daily will help to let go of past hurts. Some people find it helpful to keep a house shrine, others take the same walk every morning, and some of us just have a chair we like to sit in and drink tea. Rituals are steadying, and over a period of time they have the power to ground your loose wires. Possibly the hardest thing to do when you’re feeling low, taking an emotional (or even a physical) risk can get you out of your head and into your sensory perceptions, which is where life gets more interesting. Meeting new people through friends or a community group may make you forget that it’s the holidays and all that you associate with this time of year. If you’ve been meaning to start a new exercise regime, don’t wait until the New Year, start it now. The release of dopamine from running a few miles or Iyengar yoga practice is a pleasant alternative to consuming too many sugar-heavy holiday treats, and you may sleep better too. Another risk you can take is change up your evening routine. If you find you’re drinking more alcohol than usual, just because that’s what people do at the holidays, make a point to take a night or two off every week. If you’re staying up too late cruising online dating services, the artificial blue screen light (which interferes with melatonin production) could be why you’re not sleeping well. It takes some courage to confront our habits, but it could be a way change your relationship to the holiday season as well as find a new love in your life. 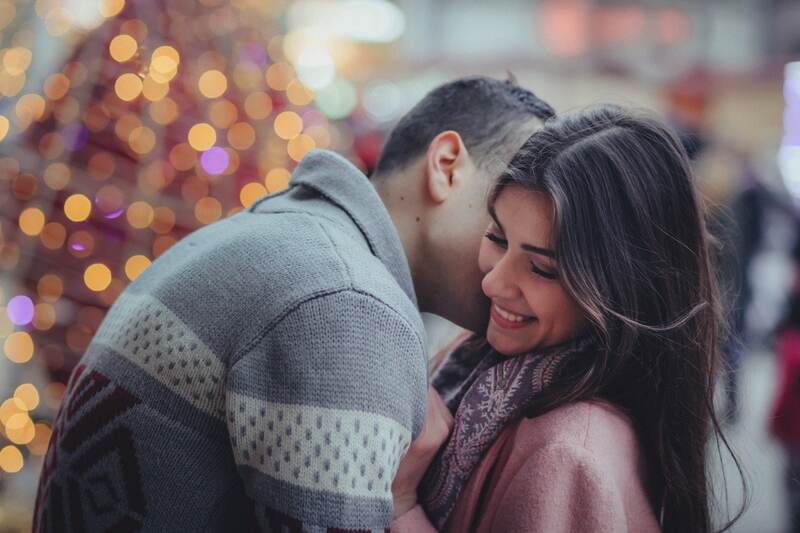 The post 6 Tips for Finding Love This Holiday Season appeared first on Clinton Power + Associates. If you are the owner of Relationship Matters, or someone who enjoys this blog why not upgrade it to a Featured Listing or Permanent Listing?